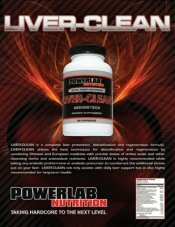 Pre-Workout Energy Loader And Performance Enhancement! How much better would your training be if you had an I.V. drip constantly supplying your muscles with the equivalent of rocket fuel? You could push it harder and longer than ever before. And you’d easily shatter all your previous records! Well, forget needles and tubes. Kre-Celerator™ is here! To get these kinds of results, all you have to do is mix up this new “super fuel” and drink it. So if you wanna’ experience what it feels like to be strapped to a 50-gigaton long-range missile, then read on. I’m gonna’ take a wild stab in the dark and guess you’re probably expecting to get whacked by some over-the-top sales job about Kre-Celerator™. Well, sorry to disappoint you… that crazy, irritating hype we’re all used to isn’t gonna’ cut it here. It’s a fact. Nearly all pre-workout formulas on the market today have one thing in common at their core: harsh stimulants (you know, things like caffeine). Big deal, you say? Well, here’s the facts. Rather than fuel the body, these compounds increase brain activity to provide a temporary burst of energy. Sometimes these things literally make you feel like you’re gonna’ vibrate off the freaking bench or playing field! To make matters worse, I bet you had no clue that all the other goop in these formulas you keep pouring down your pie hole is extremely acidic. Friend, too much acid in your body may actually slow down your natural energy systems. The exact opposite of what you want in the gym or out on the field. Kre-Celerator™ is specifically designed for athletes of every kind who want “real” increased energy, maximum power and enhanced performance - without relying on harsh stimulants or sugar-filled products. Here’s how it works. 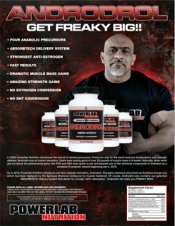 Kre-Celerator™ supersaturates your muscles with a brand new, carbohydrate-based “super fuel” (created from a complex array of key polysaccharides). Remember, carbs are “protein sparing”, so it can actually help with anabolism. Kre-Celerator™ also delivers our award-winning Kre-Alkalyn® EFX creatine, B-Vitamins to enhance utilization of the complete formula, plus a few other key ingredients that may help delay the onset of lactic acid production and build-up. Just one look at its energy “power curve” tells the whole story. As you can clearly see, stimulant-based products peak very sharply, only to fall off and crash! Now check out the Kre-Celerator™ energy “power curve”. See how smoothly it rises… and how remains at a more consistent peak output level? That is exactly what you want when you’re really ‘going for it’ in the gym… or out on the field. * Percent Daily Values are base on a 2,00 calorie diet. Your daily values may be higher or lower depending on your calorie needs.EU Information:	**No % D.V. Now here’s the killer part. 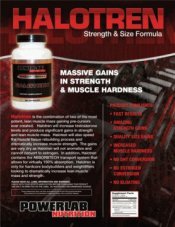 This stuff is completely sugar-free and bypasses your normal digestive process for rapid, maximum uptake into your muscle tissue. So it’s perfect when you’re dieting or trying to make weight! Not to mention ‘turning it on’ for a big game, race or moving some heavy iron. 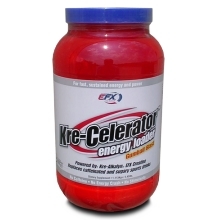 About an hour or two before you go the gym, mix up a dose of Kre-Celerator™ in a shaker filled with water. Notice how easily it mixes. Now drink it down; it literally tastes like a liquid gumball! As Kre-Celerator™ hits your bloodstream and delivers its precious payload, watch as your veins start popping out. 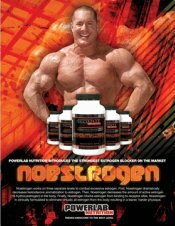 You can literally feel your muscles swelling with high-powered glycogen! 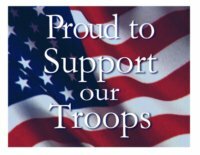 Finally, notice how you are mentally ready to for action. It’s like nothing you’ve ever experienced or felt before. Especially without jitters. Or stomach bloat. 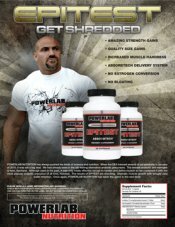 You are calm, confident, ready to attack the iron and crush your previous best lifts or your competition on the field. Pulling off this bad boy wasn’t exactly a walk in the park. We literally invested hundreds of lab hours, running through nearly 2,000 combinations before finally hitting “pay dirt”. The final result is a precise ingredient profile that’s so friggin’ complex, it’s darn near impossible to knock off. So once you starting seeing a bunch of copycat Kre-Celerator™ products starting springing up… you’ll already know they’re nothing more than ‘el cheapo’ rip-offs! Take all your over-hyped, over-priced pre-workout products and throw them out the window...they're all hopelessly obsolete! Two people go the gym to workout. One takes a caffeine-filled product and crashes halfway through his workout. The other uses new Kre-Celerator™ and smashes all of his previous records. Let’s face it. At the end of the day, it’s all about result… right? So let me put the awesome power of Kre-Celerator™ into your hands right now. You get 21 delicious, easy-to-mix servings in each bottle. Feed your body what it needs. Kre-Celerator™ is the “super fuel” your body is begging for! See for yourself just how good it can really be. It’s today's REAL cutting-edge in modern pre-workout technology. 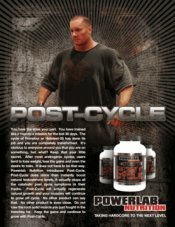 Return To Post-Workout Product Page! !